Cherry Blossom | Run S.M.A.R.T. 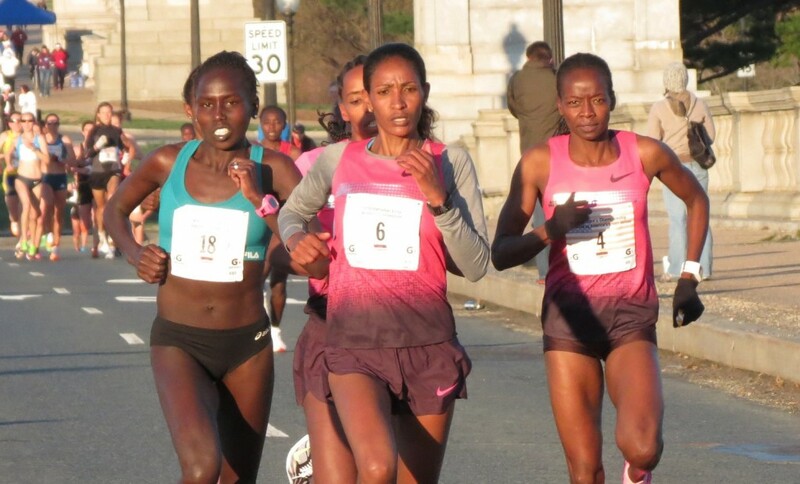 We’re super proud to announce that Run SMART coach Janet Bawcom (pictured far right) broke her own U.S. record at the Cherry Blossom 10-Mile Run last weekend! Bawcom, who trains in Flagstaff, AZ and is coached by our very own Dr. Jack Daniels, smacked her previous record by 1 minute and 16 seconds. After the race she commented, “Nothing more satisfying than going out and running exactly the race that your training said you could!” Man, we love that quote! Run SMART client Erin Strout PR’d this weekend at the Credit Union Cherry Blossom 10 Mile Run in Washington, DC. Strout ran 1:12:40 (7:16 pace) to edge out her previous PR of 1:12:58 from the same race in 2009.